I’ve been browsing with a Flash-less Firefox 4 for the past week. I just upgraded to a new laptop, and rather than install Flash (and Flashblock 🙂 right away, I figured I’d try to go without for a while to see what the experience is like. This is my report. I’m probably a lighter-than-average Flash consumer… The vast majority of things I hit that used Flash were videos, and I occasionally ran across sites that were entirely built in Flash. I’m not really into online games at the moment, so the lack of certain addicting games didn’t bother me a bit. I can see how that would be a complete deal-breaker for some people, though. Things are looking up, though. 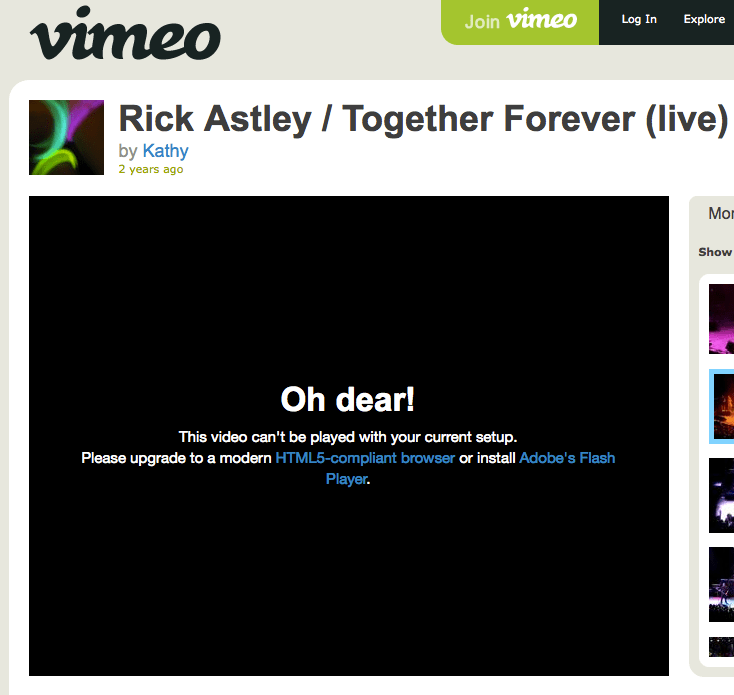 HTML5 video is here, so there’s a clear path for replacing Flash when just used for video. 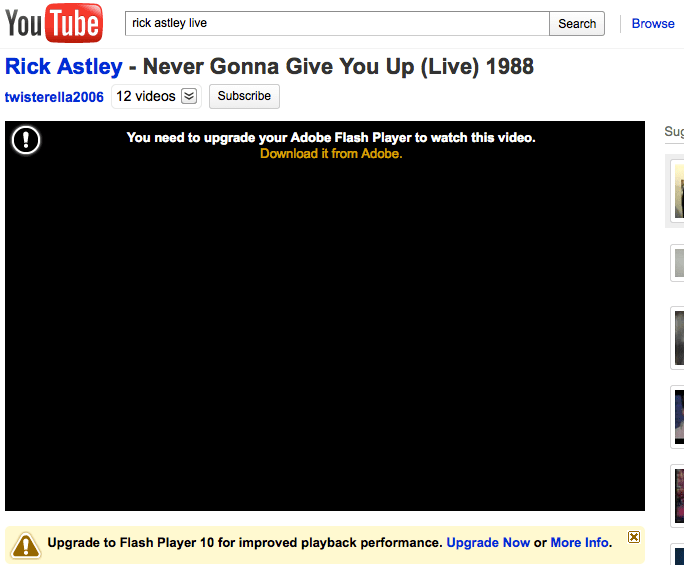 Unfortunately, Youtube still seems to default to requiring Flash unless you opt-in to their HTML5 Trial. And even that’s a mixed bag, because while most (all?) new videos are available in the WebM format, lots of older ones have yet to be reencoded (the exact pattern eludes me; some 4+ year old videos work fine, while some < 1 year old videos do not). Is Firefox 4 not an “HTML5 compliant browser”?! Sigh. While sites will take time to move away from Flash, there are some things in the browser we can start working on to help make living without Flash less painful. 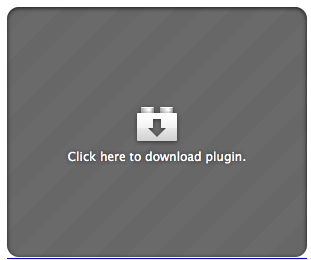 1) We should implement click-to-play plugins — basically, build in the Flashblock add-on. This is good for a number of other reasons, but it would also let early unadopters choose to enable Flash selectively. 2) We need to make this infobar less OMG IN YOUR FACE. Any other suggestions for ways to make a Flash-less browser more palatable to use?